When ordering flowers you're covered by our 100% flower delivery satisfaction guarantee. Beautiful Rainbow Roses with Free Chocolates! This Saturday March 21st marks National Fragrance Day, an occasion which is indelibly tied in with the vernal equinox and springtime. With flowers and plants blooming it isn't uncommon for one to experience some delightful odours in the air, especially if you are lucky enough to live in or near the countryside. Even if you live in a larger town or city, many public parks and gardens will be overflowing with the colours and fragrances of freshly blooming wild flowers. As National Fragrance Day lands on a Saturday this year, what better time to get out for a walk in the park or visit your local botanical gardens to celebrate! 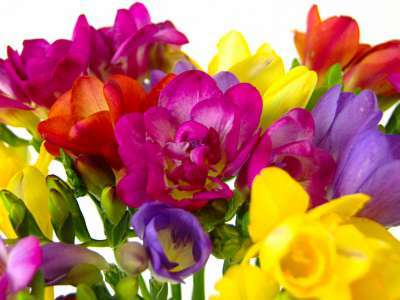 If you would like to send flowers for National Fragrance Day, we would have to recommend you go with Freesia flowers as this particular stem is widely renowned for its inherently lovely musk. Originating from Africa, Freesia are notable for their distinctive large funnel shaped flowers and sublime aroma which is totally seductive to the senses. Our Scented Freesia Flowers are currently on sale for just £19.99 with free UK next day delivery included. Comprised of a mixture of red, yellow and purple flowers, this exquisitely colourful and radiant arrangement is perfect for National Fragrance Day or any other special occasion! 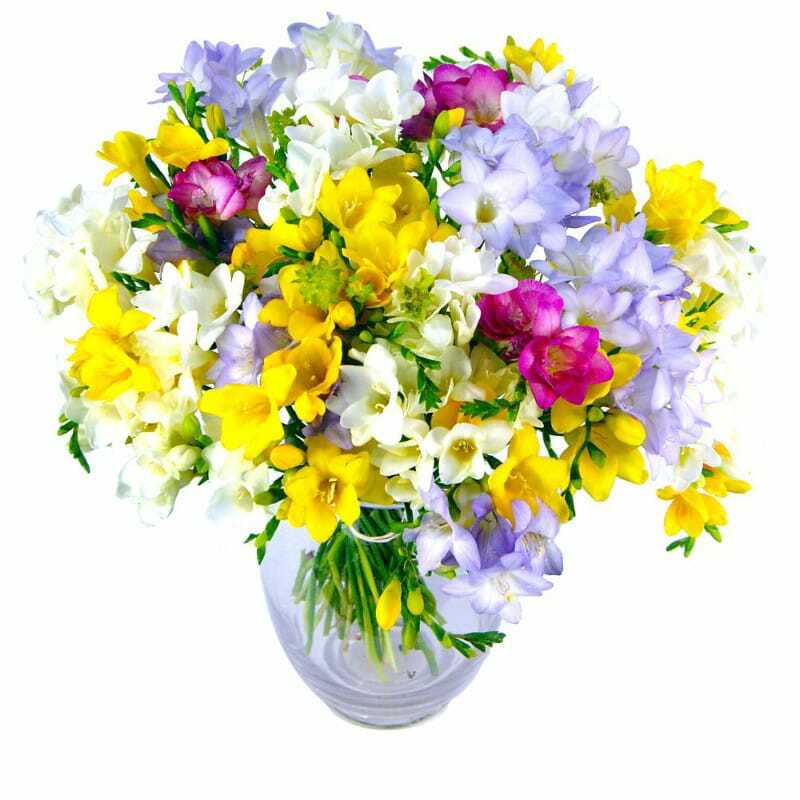 Meanwhile, our larger than life Freesia Fragrance Bouquet is an eye-catching and bountiful arrangement of flowers with yellow, pink, white and lilac hues to dazzle and impress. Free delivery is included for the total price of only £34.99 whilst optional extras include a glass vase, handwritten card or even a cute and cuddly teddy bear! Other ideas for celebrating National Fragrance Day might involve gifting perfumes, cooking aromatic meals, indulging in food or drink tastings and any other endeavours which involve the sense of smell. The sense of smell is one sense we should truly treasure and as we venture forth into Springtime it is hard not to be reminded of this. You can shop in 100% confidence on the Clare Florist web site.